It’s January. You’re cold, maybe you have the blues. 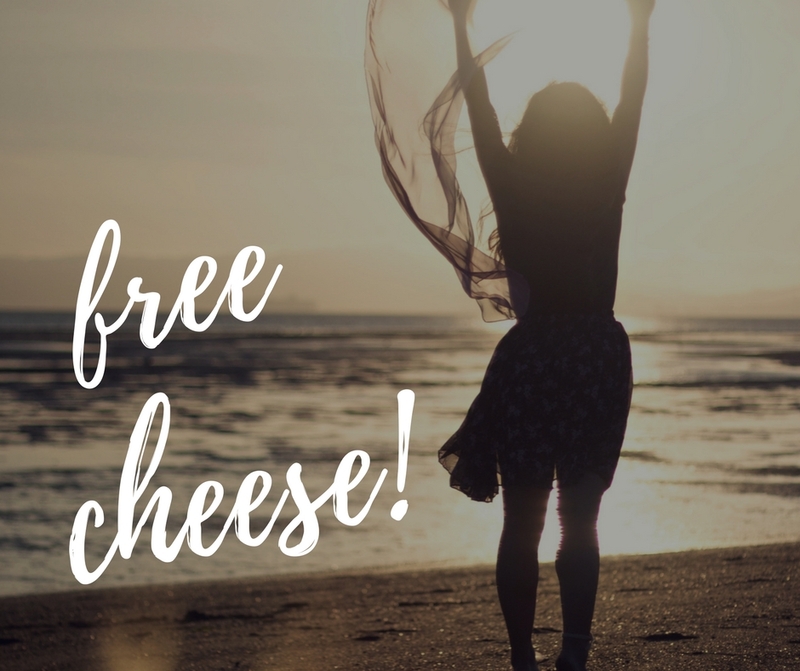 We have something that may cheer you up….. FREE CHEESE! Next Monday, January 22nd, five lucky Cheese Board subscribers will win 3 FREE product vouchers each! This contest is exclusive to our current subscribers only (because we ♥ you so much) and will not be advertised anywhere else. It’s our way of making this long month a little bit brighter, and cheesier. Winners will be notified by email and will have 24 hours to respond. Make sure you add info@bothwellcheese.com to your address book so you don’t miss our email. Good luck! LOVE yoyr Cheeses! Hope I WIN JANUARY 22ND! I LOVE BOTHWELL! Thanks for the chance to win! Love your cheese! Would love to beat the January blues with you! My husband agrees cheese does chase the winter blues away ( or at least makes winter go by faster). We couldn’t agree more Sandra. Our pleasure Jan, and thank you for subscribing to our newsletter. Love all your cheese! Squeakers are totally yum! Thanks Gladys! SqueaKr’s are one of our favourites too. As a big cheese fan, and a Bothwell fan to boot. This would be fabulous. Thanks for this great giveaway! Absolutely! This is our way of rewarding our loyal Cheese Board members. Thank you for this cheesy 😀 contest. Thank YOU for subscribing to out newsletter Darren. thanks for the chance to win my fav cheese! We just love your cheese… it’s OUR cheese too! Very proud of the Manitoba cheese that roars! 3 cheeses in the fridge at once? We would feel like royalty, what a treat! Awesome! Thanks for the chance. I’m running out of cheese, so this is very timely! Always have loved Bothwell cheese! However, going to New Bothwell to pick some up is certainly a challenge because of the distance, and now Notre Dame Creamery is much easier to get to. Also Poutine is just NOT right without the proper cheese on it! Thanks Bothwell Cheese for the chance to win! What a generous way to brighten up January! Thanks for the chance! I love to try Bothwell new and unique cheeses. Thank you. This makes my January much more happier. Bothwell is the best. In my email the contest link did not function. Because you are a subscriber to our newsletter you were automatically entered into this contest. Your cheese has got to be the Best Cheese, better than the other brands. I won’t use names. The taste is to die for and the stringy stretchyness is awesome. Love Ya Bothwell! !